Fact…Very few small businesses have dollars allocated to marketing in their budget. And if they do it is a calculated number (probably based on a % of sales) with no real strategy backing it up. Why? Because every business is different and unique and many of us really don’t understand how it works. How do we know are doing it “right”? Are we being effective? How do we start? All roads start with sales. What is your sales strategy for the current year? What are your pillars of revenue? Where do you see the growth? How much? Spend a lot of time on this…make it is detailed as possible. Tell me about your customer for each revenue stream. In detail…age, gender, demographic, etc. You can’t market to someone if you don’t know who they are. Based on your sales strategy and your customer profile, decide where you want to focus your time, dollars and energies. What makes sense for your business? Now how do you reach that targeted customer? What marketing tools will you use? Social media, direct mail, electronic communications…? There is no right answer. Now that you have the components, figure out the dollars. What is the reward vs. risk? How much can you afford? Now you have a Marketing Budget that is more than just a number. Now go and Execute! Beth Donalds provides big business solutions for small business owners and entrepreneurs. Equal parts CFO, marketing strategist and operations guru, Beth combines 30 years of corporate finance and operations experience with a practical approach to resolving your business challenges. She provides the know-how and hands-on support needed to improve day-to-day operations, shape sales and marketing strategy, and implement tactical plans to drive bottom-line results. 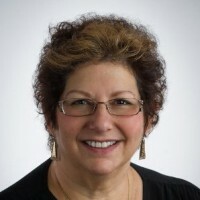 To improve the health of your business, contact Beth at [email protected] or visit http://www.businessdoctornj.com.